It has been one whole year since the Morgentaler Clinic in Fredericton announced it’s closure due to lack of funding. Those first 24 hours contained a flurry of facebook messages and emails, people reaching out to each other and the creation of our first group emails under the name ChoixNBChoice. This website quickly followed, allowing us to reach out to the general public for members and support. 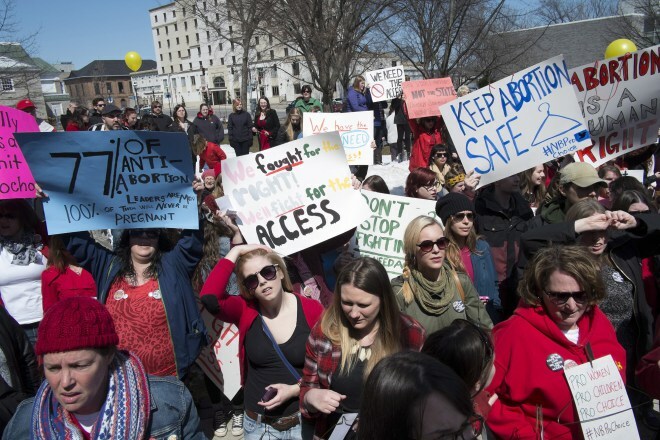 This collection of links (particularly a few of the blog posts) is a still a great resource for understanding the lack of access to abortion and reproductive healthcare in the Maritimes. We’ve protested and sent letters, made phone calls and memes, had meetings with politicians and crowd funded a clinic. Thank you to everyone who showed up at rallies, contacted MPs, MLAs and Ministers, shared articles on social media and participated in twitter campaigns. Thank you to everyone who donated to what would become Clinic 554, everyone who voted prochoice in the provincial election, and every single person who has supported access and reproductive justice in New Brunswick. 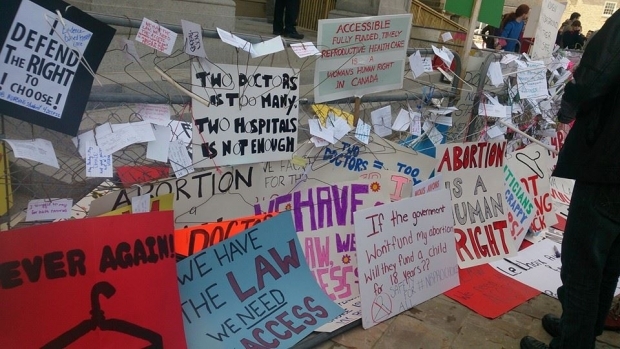 Reproductive Justice New Brunswick continues to fight for the repeal of harmful restrictions to access and is dedicated to non-oppressive, gender inclusive care becoming the standard in NB and beyond. If you are interested in joining, contact RJNB though the link above (or on Facebook). It’s better for patients to have access to a clinic, where people who are there want to be providing the service. People in hospitals are forced to be there; they have to perform the abortion, even if they’re anti-choice, and that can be acted out in punitive ways upon the patient. New Brunswick is also a small province — if you work in the hospital, where are you supposed to go if you don’t want everyone in the world to know you’re having an abortion? Clinic 554 is not a place just to go when you’re desperate; it’s a place to go for a full range of reproductive health care, not just abortion, which is what the Morgentaler Clinic was providing. It came out of the desires of the community — to have a clinic centered on reproductive justice. 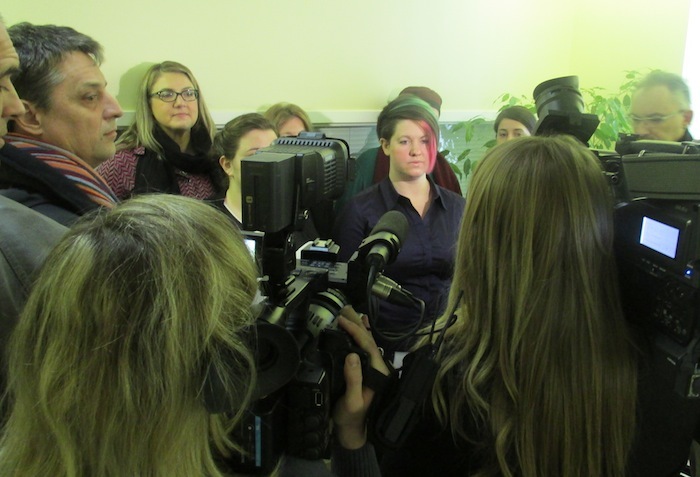 The emergence of the new medical clinic is the result of a fundraising campaign led by Reproductive Justice New Brunswick and the Fredericton Youth Feminists, which garnered more than $125,000. The crowd-funding initiative started after the Morgentaler clinic announced it was closing. L’établissement devrait rouvrir dans les prochaines semaines, selon ses promoteurs. Il offrira des services liés à la santé reproductive ainsi qu’à la santé sexuelle. Il veut servir une large clientèle de tout âge et proposer des programmes pour la communauté gaie ainsi que les personnes transgenres et transsexuelles. We will have music, posters, placards, chants, and speakers to show support for a future when all people can access the healthcare they need to thrive and decide if, when, and how to have or parent children, with dignity and support. Abbie Strout, Education and Outreach Coordinator for the Mabel Wadsworth Women’s Health Centre in Bangor ME, USA. Mercredi le 3 décembre prochain, 12h00, l’Assemblée législative du Nouveau-Brunswick ouvrira officiellement la première session. -l’abrogation de l’alinéa 2.01b) de la Loi sur le paiement des services médicaux qui empêche le financement public des services d’avortement dans des cliniques. -le financement public des services de santé reproductive partout dans la province. Il y aura de la musique et des slogans, des pancartes et des affiches, ainsi que des prises de parole. Nous désirons un futur où les services de santé nécessaires et essentiels sont accessibles et dans lequel chaque personne puisse prospérer et choisir la parentalité quand et comment elle veut, en toute dignité et respect. 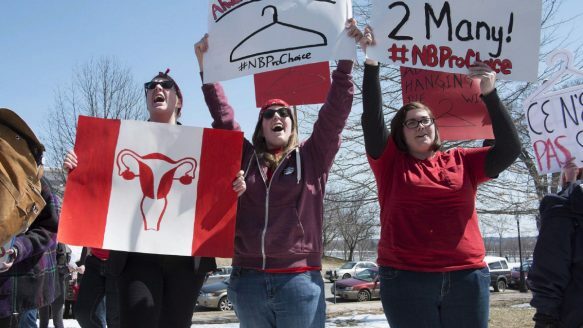 “In failing to apply reproductive health best practices by refusing to fund services outside of hospitals, New Brunswick continues to be in violation of the Canada Health Act,” says Jessi Taylor with RJNB. “People are sometimes treated in a punitive way when they access abortions in some hospitals. There are also confidentiality problems when abortions are provided in a hospital,” says Taylor. 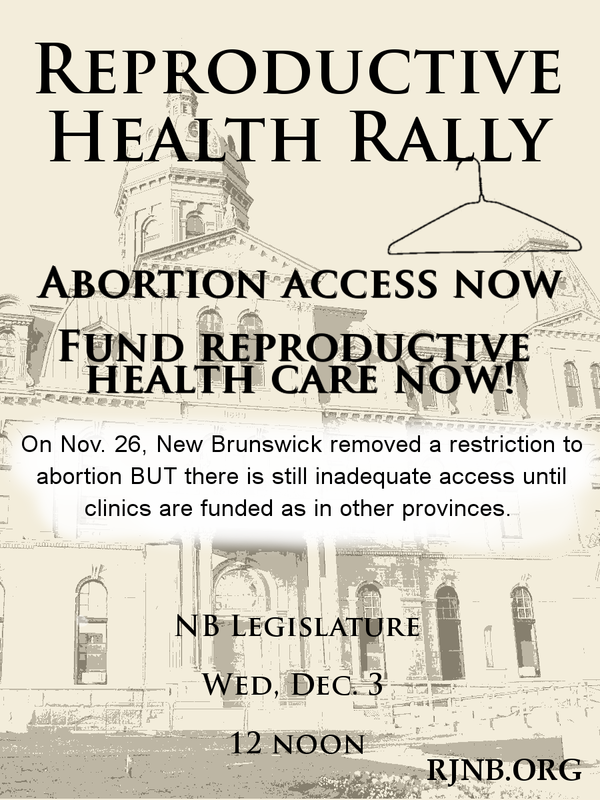 Fredericton, NB, November 26, 2014 – Today’s announcement of the repeal of abortion restrictions in regulation 84-20 is an important first step in bringing the law of New Brunswick in line with the Canadian Constitution, the Charter and the Canada Health Act. Nous remercions le gouvernement du Nouveau-Brunswick pour l’abolition de cette politique restrictive. Nous soulignons et nous désirons mettre en évidence le travail incessant des militantes et militants de toutes les communautés du Nouveau-Brunswick depuis des décennies. Ce changement annoncé par le gouvernement peut entraîner, en théorie, une amélioration de l’accès aux services de santé essentiels qui sont légaux au Canada depuis 1969 et reconnus par la Cour suprême du Canada comme une composante essentielle des soins de santé publics. However, the removal of a legislative barrier does not necessarily guarantee access to abortion. From the announcement, it is apparent that access will still be restricted to a hospital. “In failing to apply reproductive health best practices by refusing to fund services outside of hospitals, New Brunswick continues to be in violation of the Canada Health Act. In addition, clinics are the most fiscally responsible model for a province with limited resources like New Brunswick” says RJNB spokesperson Jessi Taylor. Gallant said the new regulation will no longer require two physicians to certify the procedure is medically necessary, effective on Jan. 1. This will put reproductive health procedures in the same category as any insured medical procedure, according to the government. “We have identified the barriers and are proceeding to eliminate them in order to respect our legal obligations under the Supreme Court of Canada ruling and the Canada Health Act regarding a woman’s* right to choose,” Gallant said in the statement.